We’re in an age of great new Stephen King movies — while the man himself was onto something when he wrote “sometimes, dead is better” in the novel “Pet Sematary,” we’re happy producers haven’t left King’s words alone. This story in particular, about a family that experiences incredible horror after trying to use supernatural power to undo the loss of one of their own, has terrified readers for years. The book became a film in 1989, and now, 30 years later, a PET SEMATARY remake is headed to theatres. 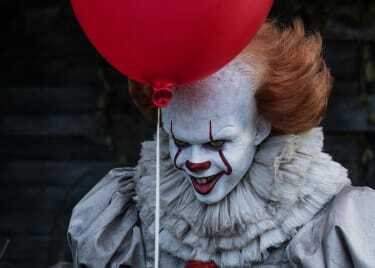 Here’s everything we know about the new adaptation of one of Stephen King’s most effective novels. Who says horror has to be confined to October? 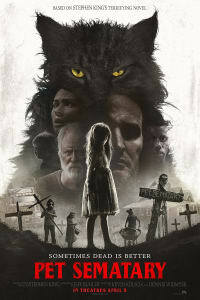 PET SEMATARY comes to theatres on April 5. Since the story is about things coming back to life, the springtime opening is a nice touch! Paramount has released a couple of trailers for the new adaptation of Stephen King’s classic novel. The one above is the latest. Be warned that it seems to show quite a lot. We know how trailers work, however, and perhaps there are a lot more secrets in store. 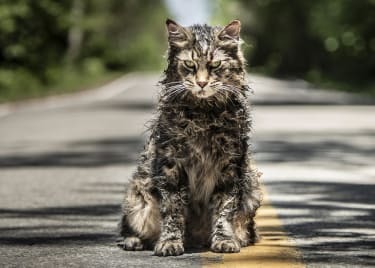 If you want to get a sense of the film’s freaky feel without seeing as many specific moments, check out the great first Pet Sematary trailer below. Who Are the Pet Sematary Directors? Two guys called the shots on the new movie. Kevin Kölsch and Dennis Widmyer directed, based on a script by Jeff Buhler. Kölsch and Widmyer have worked together for quite a few years and are tightly tied to the horror community in Los Angeles. Their previous movie, STARRY EYES, released in 2014, told a super-scary story about a woman who sells her soul to find fame in Hollywood. They’ve also directed episodes of “Scream” for MTV. In case you haven’t read the book or seen the original movie, let’s dive into a story refresher. A doctor, Louis Creed, moves his family to a new home in rural Maine so he can take a job at a nearby university. The home is beautiful, but it is on a road heavily trafficked by trucks that cruise at alarming speeds. Their neighbor across the road, old Jud Crandall, warns of the danger posed by the trucks, as they’re driven by people who don’t pay much attention to anything other than the road. The deadly effect of the road is emphasized by a plot of land in the woods behind the Creed home. It’s a pet cemetery, decorated by a misspelled sign reading “Pet Sematary” and full of pets buried by children. Much farther back in the woods is another piece of land. This former burial ground has shocking power. Anything buried there comes back to life — or at least walks the Earth again. Maybe what returns can’t actually be said to be alive. Jud shows Louis this place when the family cat, Winston “Church” Churchill, is killed by a truck. The animal that returns looks a lot like the same cat, but it is far meaner and stranger. And then, someone else wanders into the road, and a grief-stricken decision is made that could destroy the whole family. Does Pet Sematary Change Anything From the Book? We’re happy you asked. Stephen King movies often change things from the books — the author still seems a little sore about all of the changes in Stanley Kubrick’s THE SHINING — and this one is no different. In fact, it seems like the new PET SEMATARY changes a few big things! That’s notable in part because of how faithful the original movie was to the book. Everything we’re about to talk about is in the latest trailer, but in case you don’t want to know details, maybe skip ahead a couple of paragraphs so you won’t see all of the changes. The biggest PET SEMATARY change seems to be the person killed on the road after Church has already been dead, buried and reborn. In the book and original film, Gage Creed, the family’s toddler son, is killed. In the new PET SEMATARY, the victim appears to be preteen daughter Ellie. Kevin Kölsch and Dennis Widmyer have assembled an impressive cast for their new Stephen King movie. Jason Clarke plays Louis Creed, which is a great choice because Clarke is so good at playing men who are blindly convinced of the rightness of their actions. Those who know the story understand that Louis Creed goes to some pretty messed-up places — physically and emotionally — and we can’t think of anyone we’d rather see play the part than Clarke. Hugo Lavoie and Lucas Lavoie play the very young Gage Creed, while the new talent Jeté Laurence plays Ellie Creed. She’s been great in the series “Sneaky Pete” and “Younger.” And Obssa Ahmed gets his first big movie role as Victor Pascow, a man who haunts the story after Louis Creed is unable to save him following an accident. Last but very much not least, John Lithgow plays Jud Crandall. The kindly and slightly weary Maine native is the conscience of the novel in many ways and gets to explain a lot of dark supernatural tricks to Louis — and consequently to the audience. That makes the role a tricky one, since it could easily be all exposition and no emotion. Lithgow, however, can be exactly the sort of neighbor we’d like to share a cold drink with on a warm summer night, and he’s the ideal guide to this new PET SEMATARY. Come back to the AMC® Scene for more about PET SEMATARY, which opens on April 5!